The Wall Street Journal (subscription only) reports that one of the reasons US housing starts have remained low in a strong economy is because there are “fewer small-time construction companies that build like crazy during boom years”. In other Business news: JD Irving expects to pay $45 million in lumber tariffs despite its reduced rate; while US lumber producers are relieved that Canada’s retaliation against Trump’s steel tariffs leave wood products largely spared. Finally, modular wood stadiums and driverless logging trucks may be the next breakthroughs in technology? Despite the housing boom in the United States in the last few years driving exports of B.C. 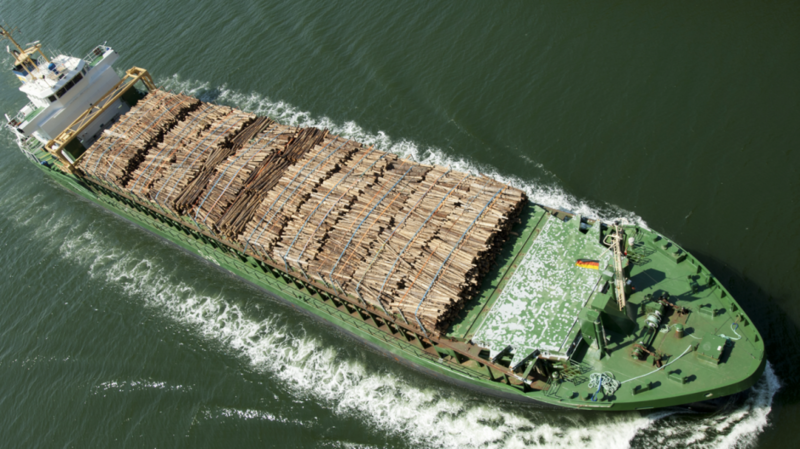 wood products below the 49th parallel, Asia remains a crucial market for a local industry constantly seeking to diversify its global market presence. That’s the view of several industry officials who have highlighted continued potential in expanding large existing markets like China and Japan, as well as new regions that may develop an appetite for B.C. 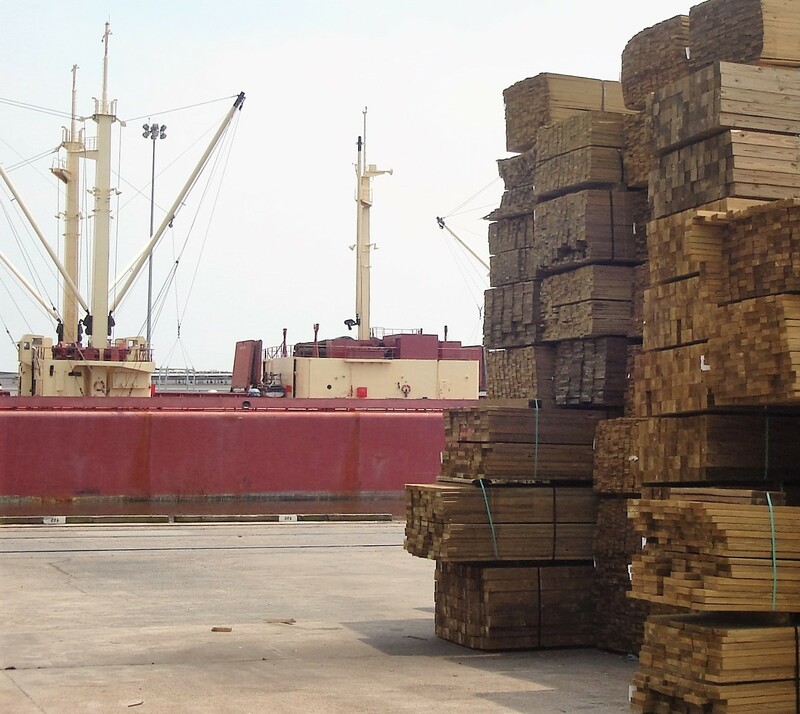 lumber, such as South Korea, Southeast Asia and India. 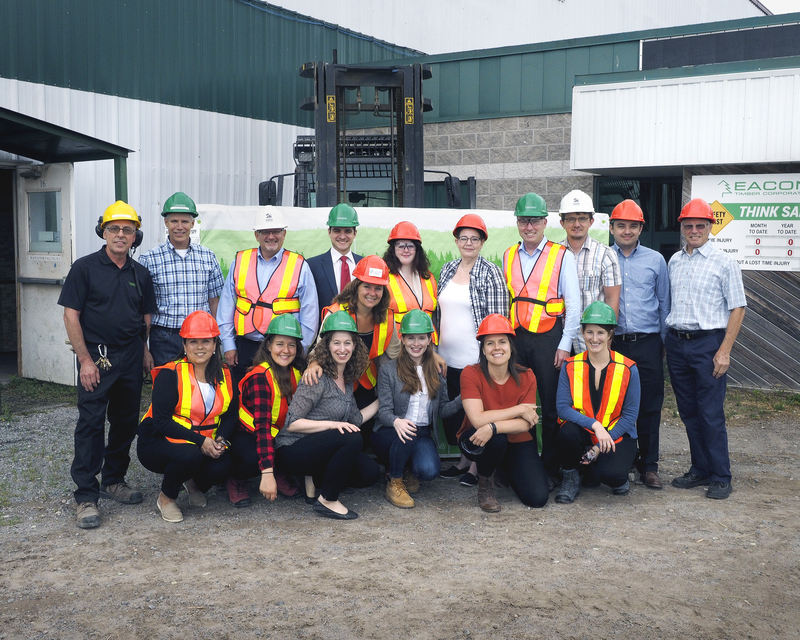 “We’ve spent a ton of our time and energy looking at diversifying our market,” said Susan Yurkovich, president and CEO of the BC Council of Forest Industries (COFI). …The latest COFI statistics put 53% of B.C. wood product exports going to the United States, followed by China at 24% and Japan at 9%. After several years of unrest in the industry, logging contractors are hoping recent steps taken toward supply chain equilibrium will help buoy their end of the forestry sector. 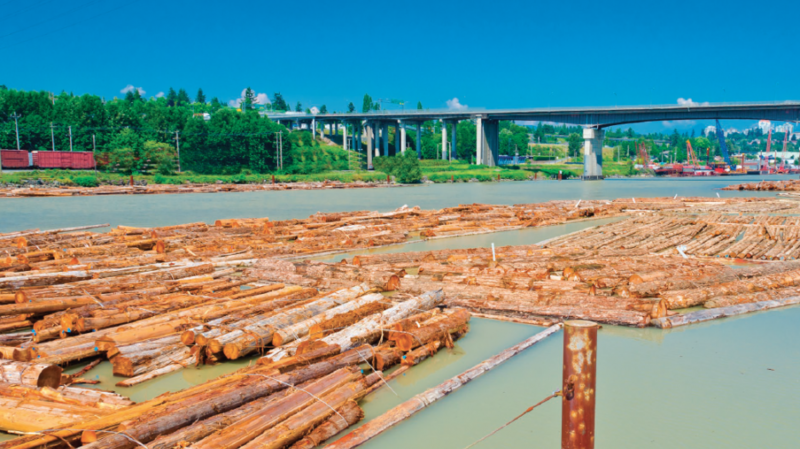 The Logging Contractor Sustainability Review, conducted by former politician George Abbott and B.C.-based Circle Square Solutions, makes 13 recommendations aimed at improving the relationship between logging contractors and forest licensees. The recommendations include calls for better use of technology, improved communication and ensuring best practices for setting contractors’ rates of pay and dispute-resolution mechanisms. 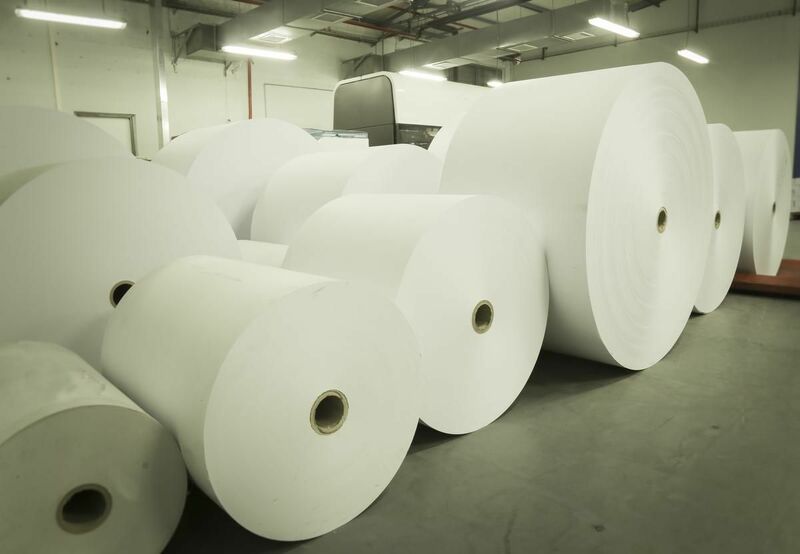 While the recommendations have been praised as a step in the right direction, many industry professionals say the report is far from a cure-all. “We have been waiting with high anticipation but, individually, I wouldn’t call any of these [recommendations] a silver bullet,” said David Elstone, president of the Truck Loggers Association. “They’re not going to change things for contractors overnight. Provincial employment at B.C.’s largest forestry companies has dropped 6% since 2014, according to data from Business in Vancouver’s Biggest Forestry Companies in B.C. list. In 2018, B.C.’s largest forestry companies employed 19,776 people, a decline of 1,270 workers since 2014. The median number of workers across the largest forestry companies also declined at a rate that was merely 0.3 percentage points higher than the average employment decline, suggesting that companies higher on the list were just as affected by employment declines as those lower on the list. However, over the five-year period, the average employee-count drop for the five largest companies on BIV’s list was only 0.07%, significantly lower than the average median employment decline of 5.76% for all companies on the list. 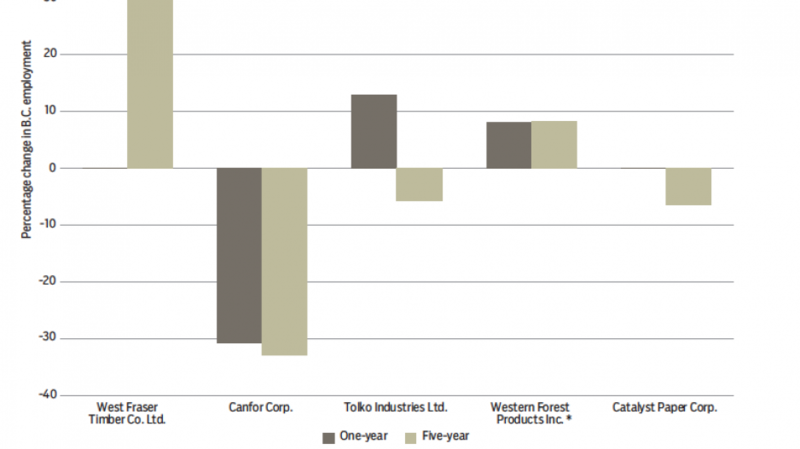 Canfor Corp. (TSX:CFP), ranked No. 2 on the list, saw the largest employment decline in the top five. Higher U.S. tariffs introduced on softwood lumber have cost J.D. Irving Ltd. $30 million since the dispute first started in May of 2017. J.D. Irving, which is the largest lumber producer in New Brunswick, expects that number to jump to $45 million by the end of the year. Forest NB said that by the end of 2017, all of its members, including JDI, had paid a combined $31 million in tariffs. That was for the first eight months of tariffs. …New Brunswick was the only Atlantic Canadian province not exempt from the tariffs the U.S. imposed earlier this year. 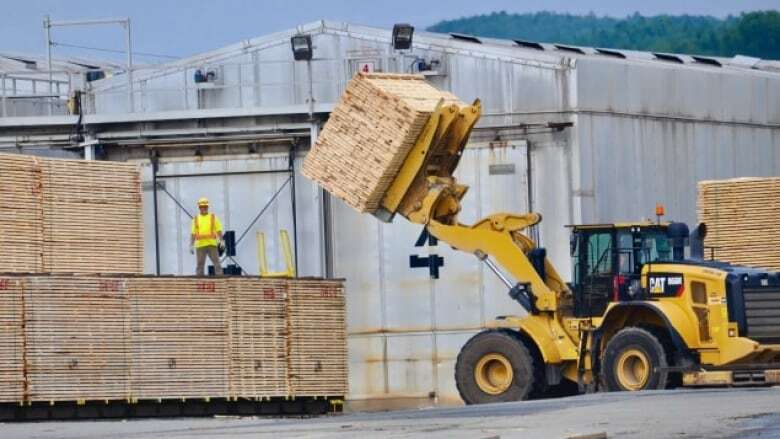 While JDI was able to negotiate a lower combined countervailing and anti-dumping duty rate of 9.92 per cent, all other sawmills in the province must pay a rate of 20.83 per cent. One of the big mysteries of the housing market since the financial crisis is why sales of new homes have remained so low despite a strong economy and real-estate market. One explanation is a major consolidation among homebuilders, which has given surprising power to some of the big publicly traded companies. That is a big change in what has long been a heavily fragmented industry driven at the margins by small-time construction companies that built like crazy during boom years. …The housing bust and the financial crisis destroyed many home builders. In the tally of U.S. businesses it conducts every five years, the Census Bureau found that there were 48,261 home builders operating in the U.S. in 2012, about half as many as the 98,067 it counted in 2007. In the consolidation, publicly traded home builders fared much better…. even as the economy has recovered and demand for homes has risen. 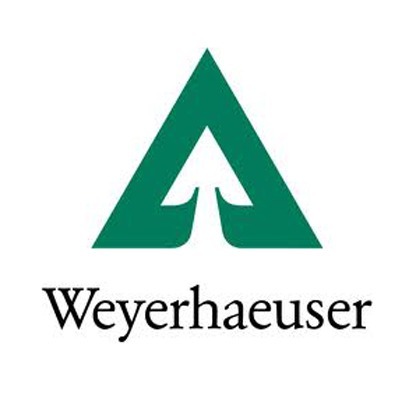 After two days of labor talks, a regional woodworkers union received a “last, best and final” contract offer from Weyerhaeuser Co. negotiators Wednesday night, according to the union’s president. About 1,200 union woodworkers with the International Aerospace and Machinist/Woodworkers Local District W24 in Washington and Oregon will vote on the proposal next week. The intended day of the final vote tally is Saturday, IAM Local W24 President Noel Willet said.The outcome of the vote could determine whether about 400 employees at the company’s log dock and sawmill in Longview go on strike.“Until such time as our crews have had a chance to review the company’s offer and vote on it, the union reserves comment,” Willet said in a brief phone interview Thursday. Terry Edwards has received love mail, hate mail and everything in between, and after 16 years at the helm of Tasmania’s forestry industry he’s ready for a rest. 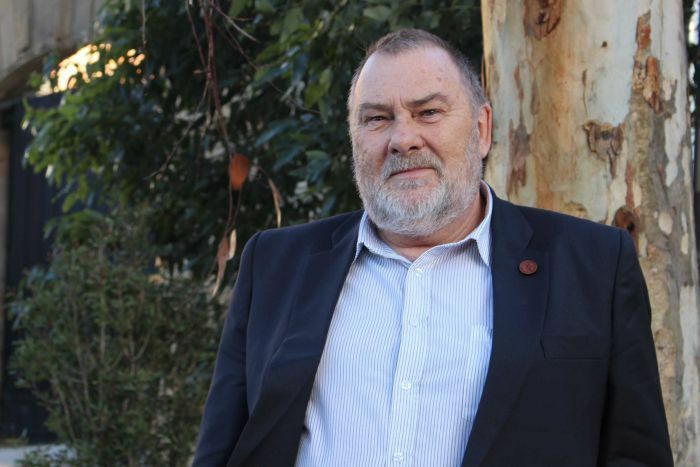 Mr Edwards is retiring from the Forest Industries Association of Tasmania (FIAT), a job that placed him in the middle of the most turbulent and violent times in the state’s forests. When he took on the job in 2002, Mr Edwards thought he knew what he was getting into. A no-nonsense straight-talker, he quickly became the public face of a contentious industry. “In retrospect, I didn’t really fully understand or appreciate how strong the passions were on both sides of the debate in the forest industry,” he said. The 1997 Regional Forest Agreement (RFA) Act was still going through federal parliament and environment groups had made it clear they didn’t accept the outcome of the process. Could Modular Wood Stadium Construction Be a Game Changer? Imagine a sports stadium that could expand and contract with its fan base and team’s fortunes, one that could pick up and move to greener (and more lucrative) pastures. 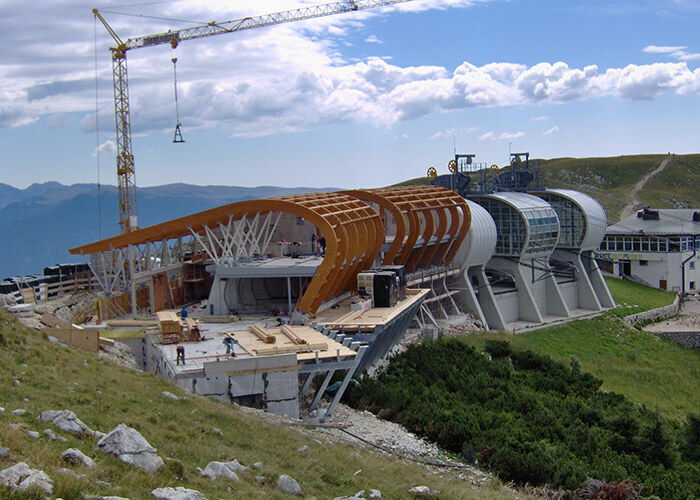 …the concept is an incredible breakthrough for building technology. Endlessly modular and made of ultralow-impact mass timber, this vision of low-carbon construction, conceived by engineered-wood manufacturer Rubner Holzbau and prefabricated stadium designer Bear Stadiums, could soon materialize at a soccer pitch near you. Bear Stadiums and Rubner Holzbau’s arenas are to be made of Nordic spruce fitted into glulam (or “glue-laminated wood”) mass timber, shipped to the location, and assembled on-site. These stadiums are small- to medium-size, 1,500 to 20,000 seats, with a full set of templates between these capacities. The Ministry of Natural Resources and Forestry is sampling sap beetles in Northumberland County Forest in an effort to fight an invasive fungus that attacks oak trees. The fungus causes Oak wilt disease, a vascular disease that is currently prevalent in the United States, but that has not yet impacted Canadian forests, according to County Forest management. The disease is often spread by sap beetles, which transfer the fungus from infected trees to healthy ones. The forest north of Cobourg, Ont., is one of three locations to sample the Nitidulid beetles and their interaction with oak trees. Sampling is also being conducted in Sault Ste. Marie and Essex. The study aims to develop pre-cautionary management guidelines for Oak Wilt Disease in Canada. For North America’s imperiled bats, bad news comes in threes. On May 29, the Kansas Department of Wildlife, Parks and Tourism announced that the fungus that has killed millions of bats over the past 12 years has been found on a new species, the cave myotis bat (Myotis velifer). Biologists collected dead and dying bats in three Kansas counties and confirmed that they were suffering from white-nose syndrome, the disease caused by the fungus Pseudogymnoascus destructans (Pd). The next day, the U.S. Fish and Wildlife Service announced that the fungus had been found in South Dakota for the first time. There, the fungus was detected on a western small-footed bat (M. ciliolabrum)—another species newly affected by Pd—and four big brown bats (Eptesicus fuscus) at Badlands National Park. None of the bats in South Dakota had yet contracted white-nose syndrome. Finally, on June 1, the Service announced that the fungus had reached another new state, this time Wyoming. The ability to predict weather patterns has helped us make clothing choices and travel plans, and even saved lives. Now, researchers in Virginia Tech’s College of Natural Resources and Environment are using similar predictive methods to forecast the growth of trees.In a study published in Ecological Applications, researchers used ecological forecasting to predict how changes in temperature, water, and concentrations of carbon in the atmosphere in the Southeastern United States may affect the future growth rates of trees.The paper brings together efforts from two projects funded by the U.S. Department of Agriculture. 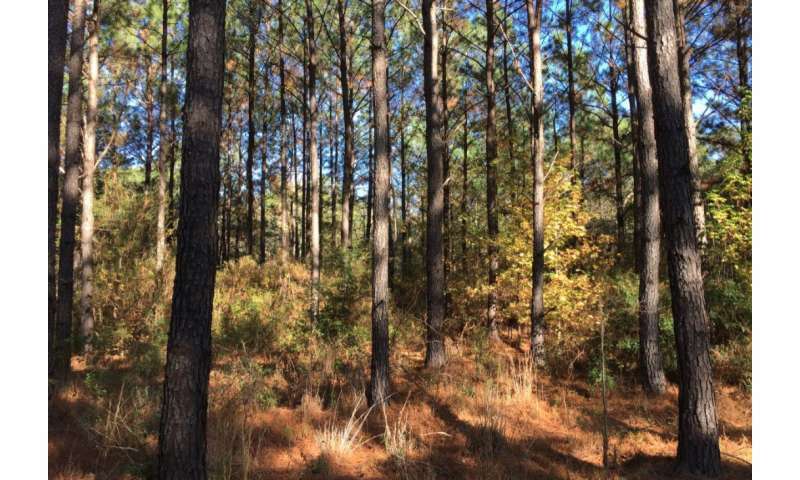 In the first, known as PINEMAP, hundreds of researchers collected forest growth data from the past 35 years and developed mathematical models to quantify how pine forests may respond to climate change. 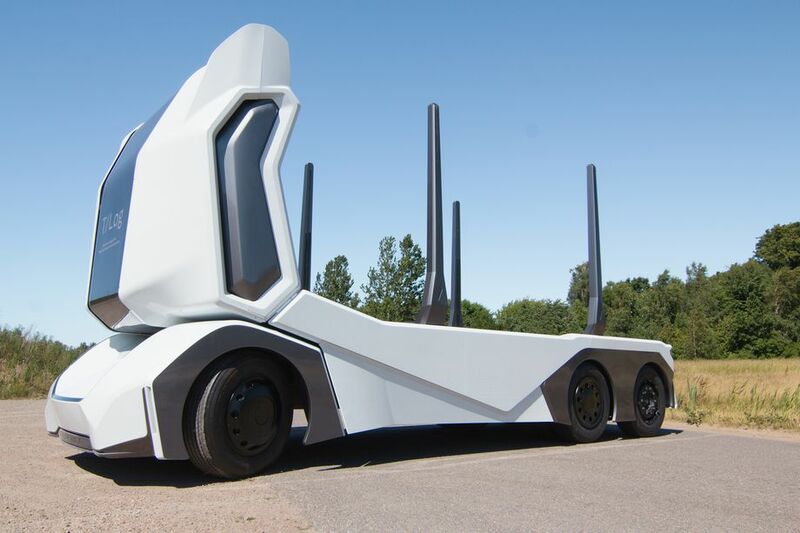 Swedish self-driving truck startup Einride is out with another eye-catching prototype. …the new T-Log is all-electric and completely driverless, and it completely lacks a front cab for human drivers. …the T-Log comes equipped with off-roading capabilities and is designed for hauling tons of gigantic logs. Unveiled on Thursday at the UK’s Goodwood Festival, the T-Log is … designed to carry up to 16 tons of cargo. It can also navigate dense, uneven forest roads, the startup claims, making it ideally suited for logging purposes. …Most experts believe that the first industry to be affected by autonomous driving will be the trucking sector. What better use case for driverless technology than long-haul trucking where most of the driving is confined to the highway? But Einride has a bolder vision that includes off-roading and heavy-duty cargo. CROOKS CORNER, South Africa-Africa’s ancient baobab, with its distinctive swollen trunk and known as the “tree of life,” is under a new and mysterious threat, with some of the largest and oldest dying abruptly in recent years. Nine of the 13 oldest baobabs, aged between 1,000 and 2,500 years, have died over the past dozen years, according to a study published in the scientific journal Nature Plants. The sudden collapse is “an event of unprecedented magnitude,” the study says. Climate change, with its rising temperatures and increasing drought conditions, is a suspected factor but no definite cause is known. The deaths occurred in the southern African countries of Botswana, Namibia, South Africa, Zambia and Zimbabwe. “The trees that are falling over are at the southern range of the distribution of baobabs,” said Stephan Woodborne with South Africa’s National Research Foundation, an author of the study. Thunderstorms have continued to keep things tense for Ministry of Natural Resources fire fighting crews in the Northeast, with 32 forest fires still not under control as of Thursday morning. There were 18 new starts in the northeast Wednesday, only two of which are already out. “Thunderstorms once again swept through Northeastern Ontario on July 9th and we expect to continue to find several new starts as a result,” said information officer Shayne McCool in a news release. “There was no rain at all recorded overnight last night, and since June 29th which was the Friday before the Canada Day long weekend, we have recorded over 165,000 lightning strikes across the Ontario.” Reports of smoke have been noted from areas across the central portion of the northeast. 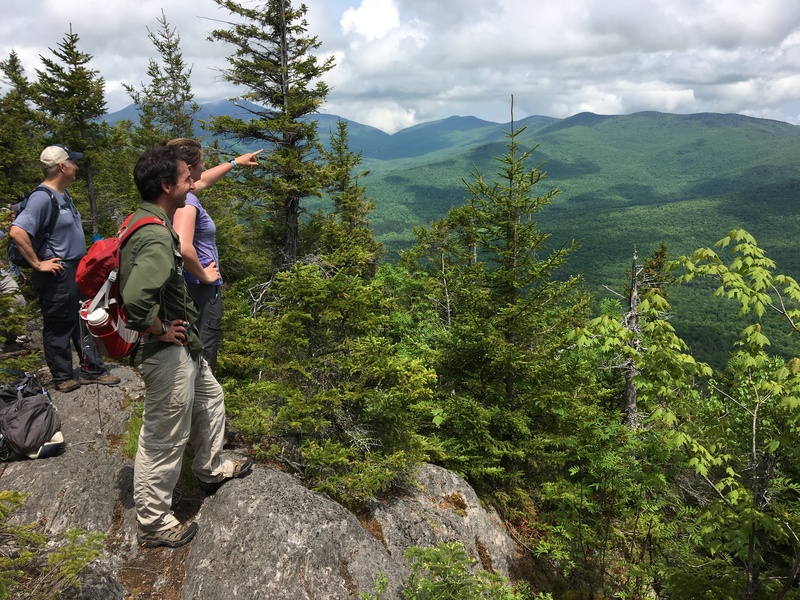 Burnt Mountain, a 2,800-foot-high point on a forested ridge in the Northeast Kingdom, will be conserved as a wild area by The Nature Conservancy. It will be the state’s first carbon storage project to enroll in California’s cap and trade program, the conservancy announced Thursday. The nearly 5,500-acre parcel of forestland — encompassing the towns of Montgomery, Eden, Westfield, Lowell and Belvidere near Jay Peak — can no longer be developed, but will remain open for public access. Burnt Mountain will be the largest of the 56 parcels of land The Nature Conservancy owns in Vermont, the organization’s state director Heather Furman said in an interview Wednesday. Because Burnt Mountain adjoins state forest, state parks and privately held conserved lands, the total parcel of conserved forestland covers 11,000 acres, she said. 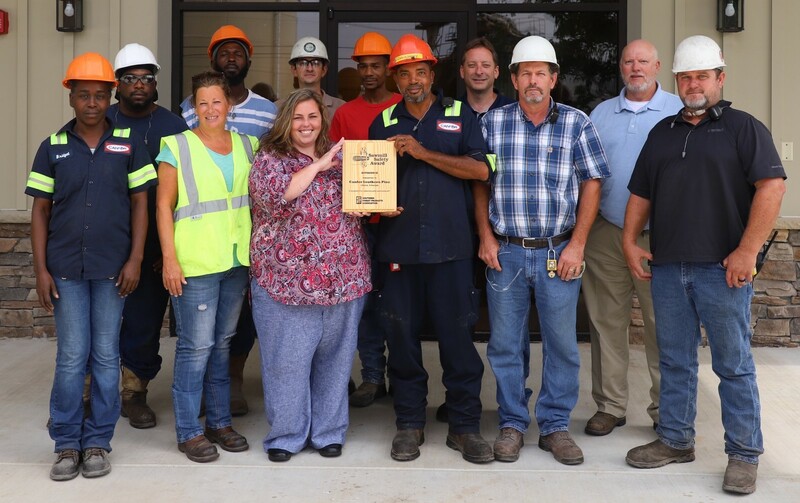 For the second time, the Canfor Southern Pine sawmill at Urbana, Arkansas, is being recognized for its outstanding safety record. The mill operated accident-free for all of 2017, earning top honors for Division II that includes mills producing between 51 and 150 million board feet annually. This week, SFPA’s Deputy Director Eric Gee visited Urbana and presented this well-deserved award to the plant’s Safety Committee. “This facility’s success starts with a commitment to safety in everything they do,” Eric remarked. “A safe workplace is no accident and Canfor has created safety solutions that work for our industry,” he added. The Canfor mill at Graham, North Carolina, has also earned SFPA’s 2017 Sawmill Safety Award, likewise posting a perfect safety record for 2017.